The first thing you need to do is to identify where you need more confidence, and where you don’t. Let’s say, for example, that you are afraid of public #speaking, and you need to get over that to succeed. In this case, you need to gain confidence in speaking in front of people. If you lack confidence in cooking a good meal, that certainly won’t matter to your speaking ability. You need to identify where you need to gain confidence, and where lack of confidence doesn’t matter. This doesn’t mean that you can’t gain confidence in other areas, though. One of the dangers of a lack of confidence is that it can fuel failure. Failure then leads to decreased confidence, which leads to failure, which leads to… well you can see it’s a vicious circle. Lack of confidence and failure feed on each other, and they will drag you down. So, the first key to gaining confidence is to succeed rather than fail. Your first successes do not need to be major #successes. You just need to succeed at something to start #lifting #yourself up, and break out of the failure->lack of confidence cycle. Choose a small goal to achieve. This needs to be a goal that you cannot achieve at this #time, but it also needs to be #achievable with a little bit of #work. Set your mind on achieving this goal. Set yourself a realistic time #frame, and then determine what you need to in order to succeed. Once you achieve this goal, you will start to see that you can succeed. Keep setting yourself #goals, and work towards achieving them. Success will #lead to confidence, which will lead to more success, and so on. Before long, you will be able to attack the critical areas where you lack confidence. If you fear public speaking, you can now start working on that lack of confidence. Find mentors to help you along. Find #groups and #organizations that will #help you to build confidence. Do not confuse confidence with arrogance. Being confident is a #good thing, being #arrogant is a bad thing. Confidence is the idea that you can achieve something that you can succeed. Arrogance is the idea that you are better than others. Confidence is the key to succeeding in any #aspect of life. Whether you want to succeed in #business, #creative endeavors, #fitness, #weight loss, or #family, you need to have confidence. Start by setting yourself small goals, and find small successes. Build on those successes and you will find yourself gaining confidence in all areas of your life. Once you have confidence and success, then you can start helping those who lack confidence themselves. Gibt es keine weibliche Fachkompetenz? Das Format ist durchdacht – ohne Frage: Unternehmen vom Konzern bis zum KMU sponsern die alljährliche Veranstaltung (http://convent.de/de/archiv/mittelstandstage/13-mitteldeutscher-unternehmertag/) und treten im Gegenzug als Referenten auf; mit Themen, die für Mittelstandsunternehmen von Relevanz sind; am Montag 5. Dezember in Leipzig beherrschte die Digitalisierung in allen Facetten das Referenten- und Kompetenztableau: Vom papierlosen Büro über vernetzte Geschäftsprozesse bis zu Cyberkriminalität und drohendem Datenverlust in der Cloud. „Daten weg – Unternehmen weg“ warnte ein Vortragender (http://www.dataprotectionpartner.de) und spannte den Bogen von IT-Sicherheit als Chefsache bis zur Risikovermeidungsstrategie (Compliance) eines Unternehmens durch Identifizierung aller relevanten Prozesse und Akteure für mögliche Datenlecks und Verstöße gegen Rechtsvorschriften. Gut durchdacht ist das Format Mitteldeutscher Unternehmertag auch mit Blick auf die Teilnehmersondierung: Der Großteil der verfügbaren Plätze ist für die Zielgruppe selbst reserviert, ein kleines Kontingent ist der Beraterszene vorbehalten. Das Catering ist ausgezeichnet und nur zwei Tage nach der Konferenz holten die Veranstalter das Feedback der Besucher ein – das mutet selbstverständlich an, ist es aber noch lange nicht. Die sehr gut besuchte Konferenz gab dem Gesamtkonzept Recht. Dennoch gibt es aus meiner Sicht zwei markante Kritikpunkte: Augenfällig nicht nur für mich als Frau, sondern auch meinen Kollegen sehr befremdlich aufgefallen, war die seitens des Veranstalters rein männlich dominierte Besetzung – vom Moderator der Veranstaltung über den Impulsvortrag bis zu den insgesamt 12 Foren schien die Welt des Wissens für den Mittelstand im Verständnis ausschließlich männlicher Kompetenz verhaftet. Nicht ein weibliches Wesen wurde auf der Bühne und in den Referenten-Rollen gesichtet. Gibt es keine kompetenten Frauen? Das ist wohl mehr als unwahrscheinlich. Hier wäre seitens der Veranstalter ein wenig mehr Fingerspitzengefühl gefragt. Nun, ein 14. Mitteldeutscher Unternehmertag ist gewiss in Planung! Auch hier mit Blick auf künftige Veranstaltungen ein Tipp: Mehr Diskussion und vielleicht sogar aktive Workshop-Module statt fast 50-minütigem Frontalunterricht würden sich auch vom Wissensinput her stärker einprägen und so auch im Unternehmeralltag intensiver nachhallen. 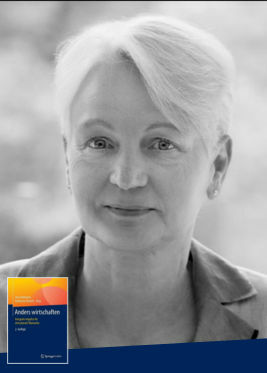 Katharina Daniels ist Fach- und PR-Journalistin, vorrangig in den Themenfeldern Wirtschaft und Organisationspsychologie sowie Klinik- und Medizinkommunikation. Sie arbeitet als PR-Beraterin für Vorstände, Geschäftsführungen und Führungskräfte. Ihre ausgewiesene Kernkompetenz liegt in der Entwicklung adäquater Kommunikationsstrategien zur Darstellung von Unternehmen in der Öffentlichkeit und für die interne Mitarbeiterkommunikation. These #cost-cutting ideas are not just to stay out of trouble with the budget people back at the #home office. Often businesses have a set budget for business travel and once it is gone, no further trips can be made during that budget year. So if you anticipate the need for more business trips in months ahead, it is prudent to keep an eye on costs as you go so you can conserve that limited budget to facilitate important #trips yet to come. #Economizing on the road can be difficult because you are put right in the middle of the hospitality industry which, while good at making you feel comfortable and providing for your needs, hotels and restaurants are also good at running up your tab. But there are some easy ways to sidestep a lot of unnecessary spending so you can stretch your business travel budget. * Eat before you go. #Airport restaurants or snack bars are notoriously overpriced. So even if you are leaving early in the morning, have breakfast and get well satisfied before leaving home so you don’t have to buy #food en route. * Wise #packing. Think through your life in the #hotel and on the road. You can buy travel sizes of almost everything you will need. Moreover, you can pack some light and easy to carry snacks such as trail mix, candy bars or nuts that can be used to tide you over during the trip until you can get a good meal. By being self-dependent during the trip, you save a lot by not using airport services. * A hotel is just a bed, a shower and a TV. When booking your #accommodations, think about where you should stay. If you don’t need a #luxury hotel, don’t book one. If you are just staying the night in one place and then moving on, a clean, well run motel can take care of you just as well as the executive suite at the Hilton. * #Share that ride. If you are traveling as a party or you are meeting business partners at the #destination, you can share cabs or rental vehicles and save business costs as well as conserve on burring fossil fuels unnecessarily. * #Markets and #delis. You can even eat economically in a big town like New York or Orlando by using the same sense you have at home. By taking an early trip to a nearby grocery, you can stock your room with #fruits and #travel foods and cut down on the amount of meals you have to eat out. * Public #transportation. If the town you re traveling to has safe and workable #subways or other public transpiration, that can be much more #efficient for you than renting a car. Washington DC for example has outstanding rail transport that you can use rather than rent a car. By using some of the same good common sense you use at home to keep expenses under control for your home budget, you can not only live inexpensively on the road, you can actually live better. And by not allowing yourself to be #overcharged for some very basic #goods and #services, you will feel better about your business outing and become known in your company as a #smart traveler.